Harwich MA is a wonderful blend of quiet seaside neighborhoods, historic villages, picturesque harbors, and scenic countryside dotted with cranberry bogs, conservation lands, and sparkling clear kettle ponds. Nestled on the southeastern shoreline of Cape Cod, Harwich is bordered by land (the towns of Dennis, Brewster and Chatham) on three sides, and by Nantucket Sound to the south. Geographically, the town is smack in the middle of Cape Cod. It's about 30 miles from the Cape Cod Canal to Harwich, and another 30 miles out to Provincetown. Convenient for day trips? You bet! Is Harwich MA the Best Vacation Town for You? If you're looking for a busy, touristy vibe, you won't find it in Harwich. What you will find is a charming, somewhat upscale (but not at all pretentious) town that's perfect for a relaxed adults getaway. Harwich also a favorite Cape Cod destination for families who can do without an abundance of touristy razzle-dazzle. Although Harwich does serve as home to one of Cape Cod's top luxury resorts, vacation lodgings here consist primarily of small to medium-sized inns and plenty of vacation rentals. Days in Harwich tend to be leisurely, swimming and sunning at one of the town's many Nantucket Sound beaches or sparkling clear kettle ponds, fishing, riding the Cape Cod Rail Trail Bike Path, or playing a round of golf. For the kids, there are the usual go-karts, bumper boats, mini-golf, playgrounds, and the like. Plus, there's a fantastic little shop on the the main street of Harwichport that has all manner of kites for breezy days at the beach. Where to eat? Choose a pizza joint or an elegant meal, an in-town pub or cocktails overlooking the harbor. Harwich has it all. Cape Cod Lavender Farm (41 Weston Woods Road) is a lovely place to spend some quiet time wandering the footpaths through acres and acres of lavender fields. 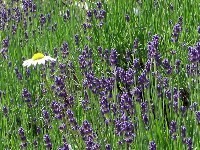 In June and July, when lavender plants of all colors and varieties are in bloom, its a true delight for the senses. Fishing charter boats cruise from the towns three harbors to some of Cape Cod's most productive fishing grounds. 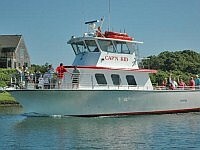 For families, the 2-hour fishing trip on the Cap'n Kid is geared especially for youngsters. For the party boat crowd, the Yankee offers half-day bottom fishing trips. The Cape Cod Rail Trail, one of the best bikeways in the USA, passes right through Harwich on its way from Dennis to Wellfleet. If you're ambitious, take the ride all the way out to the National Seashore and back. 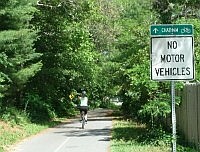 For a shorter jaunts, pedal a few miles to Long Pond for a picnic and a swim. Or make your way to Chatham for lunch and sightseeing. Go-karts, bumper boats, batting cages ... they're the quintessential summer fun for the whole family. 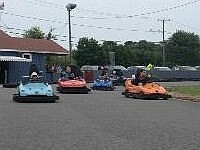 Traveling down Route 28 through Harwichport you'll find Bud's Go-Karts (9 Sisson Road, off Rt. 28) and Grand Slam Entertainment (322 Rt. 28). Bud's has been a go-to go-kart favorite for as long as I can remember. And Grand Slam's bumper boats and batting cages are not to be missed when you're looking for an hour or two of summertime giggles. Cranberries have a long history in Harwich. 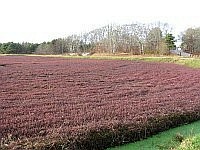 In 1845, the nation's first commercial cranberry bog was planted here, in the Pleasant Lake area of town. Today, some of the original bogs are still producing, yielding truckloads of cranberries every autumn. 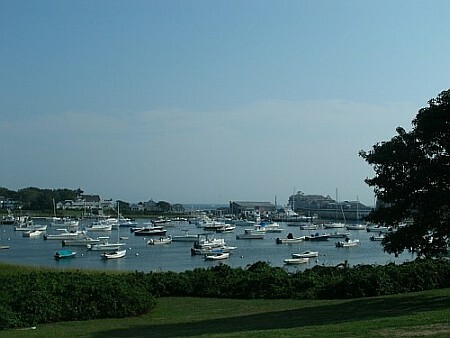 Enjoy your visit to Harwich MA! Photo Credits: Wychmere Harbor, cranberry bog, bike trail, and lavender farm photos are copyright Affordable-Cape-Cod-Vacations.com; remaining photos courtesy of TripAdvisor.